Find our frequently asked questions below. 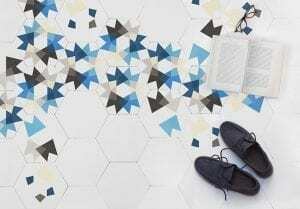 What’s are encaustic tiles made from? 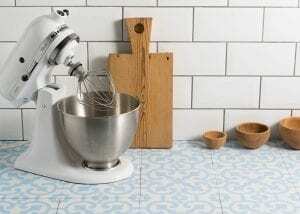 Encaustic tiles are also known as cement tiles these days and are the same thing. They are made from high quality marble dust, cement, sand and natural pigments. 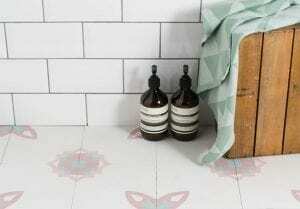 Are encaustic/cement tiles suitable for a bathroom? How often should I re seal my tiles? Re sealing should be done every 12/16 months. Applying sealant is very quick to do and can be applied with a roller or brush. 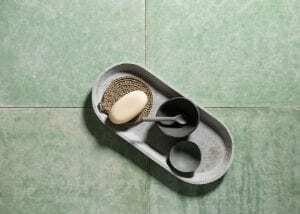 A quick tip is, once your tiles have been cleaned apply a small amount of sealant to clean water and then mop/wipe on, allow to dry – this will have topped up the protection on your tiles. 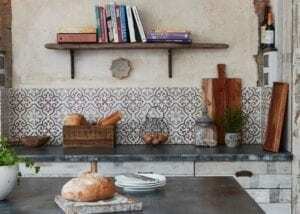 Are encaustic/cement tiles suitable for a splash back behind a cooker? Absolutely. 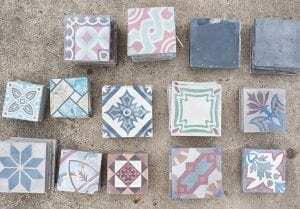 Reclaimed tiles are more resilient and less likely to show stains and blemishes due to the patina they have already cultivated as well as the sealant and products that have been applied to the tiles over the years. 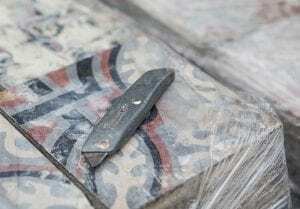 Both new and old cement/encaustic tiles can be used in this environment but we recommend on top of the sealant to use a Glaze Protector supplied by FTP which will help protect against spitting oil and fat. Yes, our paints are more eco-firendly than most since they come as a lime powder and are then mixed with water. They are VOC free and solvent free. They are often used on old listed properties because they benefit over other paints allowing the walls of the building to breathe. To what surfaces can I apply lime paints? 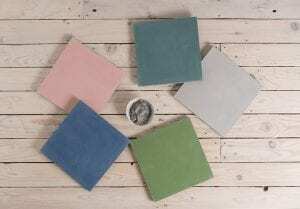 Lime paints can be applied on surfaces that are painted with acrylic paint, as well as unpainted surfaces such as concrete, gips, matte or structured wall paper, wood etc. When using our lime paints on surfaces that have already been painted with oil paint or lacquered surfaces, you have to apply acrylic primer before you start using lime paint. On raw plastered walls a watered down emulsion prime coat should be applied. How do I achieve a textured finish with the lime paints? 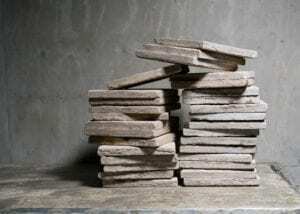 To ensure a lovely textured finish with our lime paint use a brush that has natural bristles (rather than synthetic) to give texture when applying – we have also experimented with masonry brushes which are very rough and achieve a very characterful rough finish. You then can apply the paint with in either “X-Strokes” or “Linear Strokes”. The X-Strokes will achieve a more random textured finish and the linear will make visible up and down strokes. We recommend 2 coats on most surfaces. Watch these two video for application guidance.